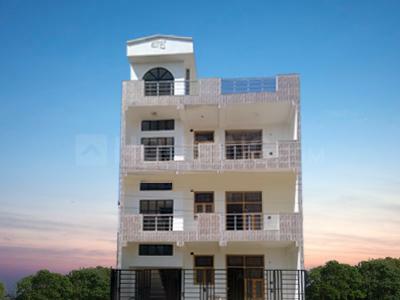 Triveni Homes - 4 in Vaishali, Ghaziabad by Triveni Infrabuild Pvt. Ltd.
Welcoming you to live every moment, Triveni Homes - 4 is a perfect living destination for a family to reside in. 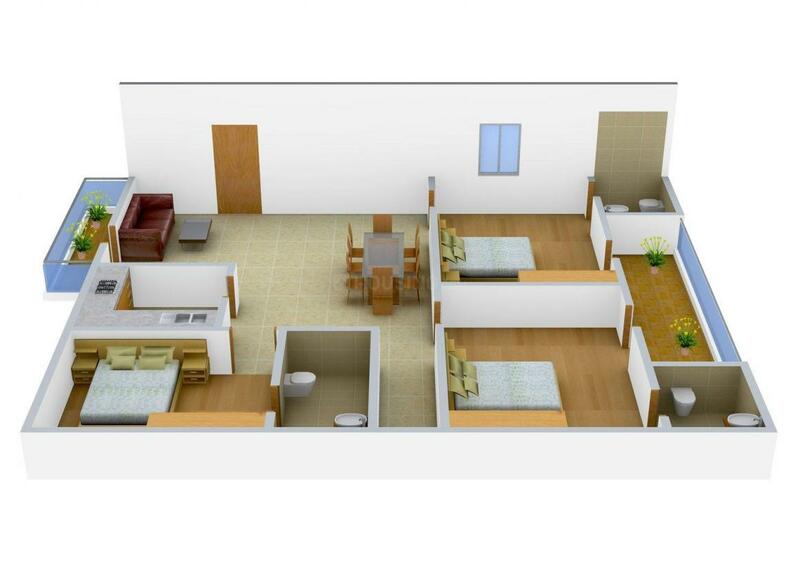 Designed aesthetically and planned artistically, every living abode will enrich your lifestyle. Providing maximum space, the large windows and balconies deliver ample natural light and fresh ventilation with endless views. Crafted with latest style and innovation Triveni Homes - 4 provides comfortable and convenience living. Well-appointed with all the lifestyle amenities, every living space will enrich your standard of living. 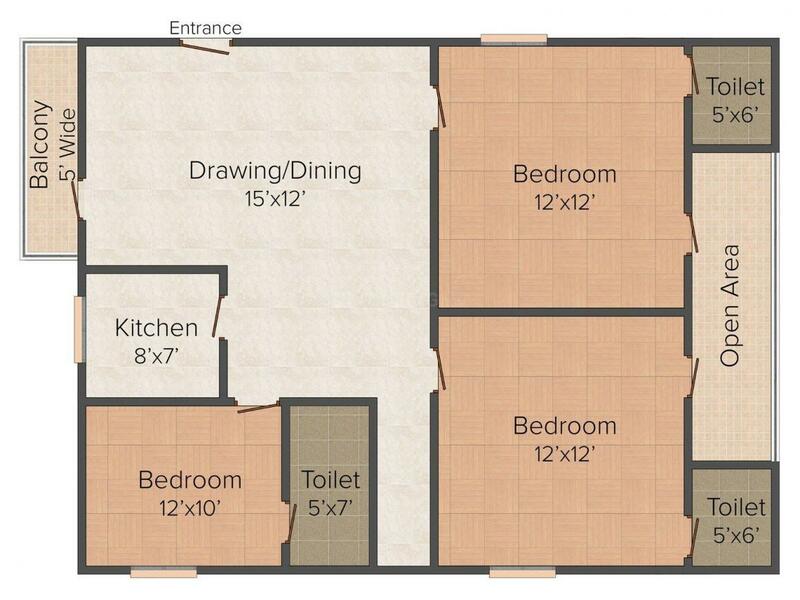 Planned by professional experts, this superb and magnificent creation invites you to feel joy and contentment with no compromise in luxury, comfort and cozyness. Sector 4 Vaishali in Ghaziabad has become a prime and desirous locality due to its close proximity to both Delhi and Noida. It is situated on the National Highway 24 of Ghaziabad District and is regarded as one of the posh localities of the N.C.R region. The nearest airport is the Indira Gandhi International Airport and the closest railway stations are Anand Vihar Terminal, Hazrat Nizamuddin and Ghaziabad. Vaishali is the nearest metro station from this locality. The transportation service are quite good due to the easy availability of the public buses, autos and shared tempos etc. There is no dearth of shopping complexes in the close radius of this location. Jaipuria Mall, Shipra Mall, Green Plaza Mall, Angel Mega Mall etc are some of the popular and recognized ones. The Swarn Jayanti Park is also located nearby. Delhi Public School, St. Francis, J.K.G International and Cambridge School etc are some of the notable and top class educational institutions accessible from the location. You will also be not deprived of the health and medical facilities as there are number of hospitals and nursing homes situated in the nearby areas. 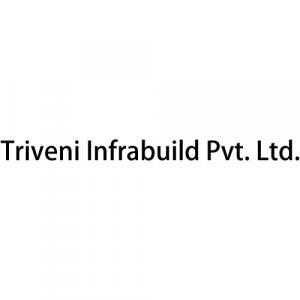 Triveni Infrabuild Pvt. Ltd. is a Real Estate entity that has been creating vibrant living spaces for its customers. Today they are considered among the foremost Real Estate developers in the domain. They attribute their success to their unflinching commitment of adhering to the highest quality standards and consistency in delivery schedules. Their goal is to keep each and every customer happy by delivering in accordance with their commitments without exception. Considered to be synonymous with quality, consistency and value for money, they ensure that they are assisted by the best professionals in business for carefully monitoring every stage in every process thus enhancing their output. More Projects by Triveni Infrabuild Pvt. Ltd.